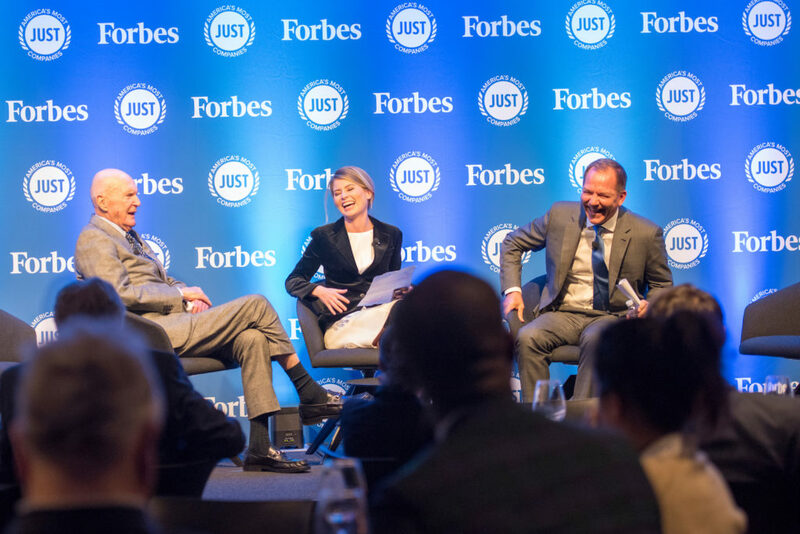 On December 10, we celebrated America’s Most JUST Companies in New York, along with Forbes, JUST 100 leaders, and special guests from the business, investment, and impact communities. 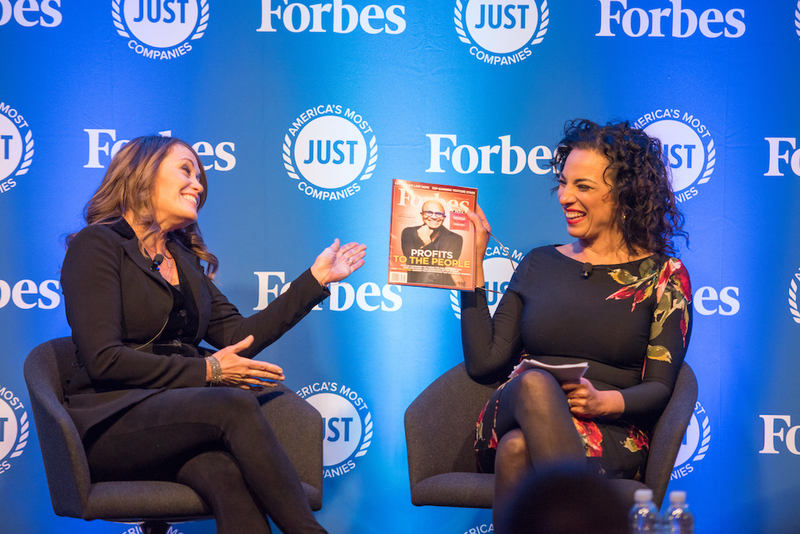 Peggy Johnson, Executive Vice President of Microsoft and Michelle Miller of CBS then unpacked how America’s Most JUST Company is transforming its culture and products to do right by the people it serves. 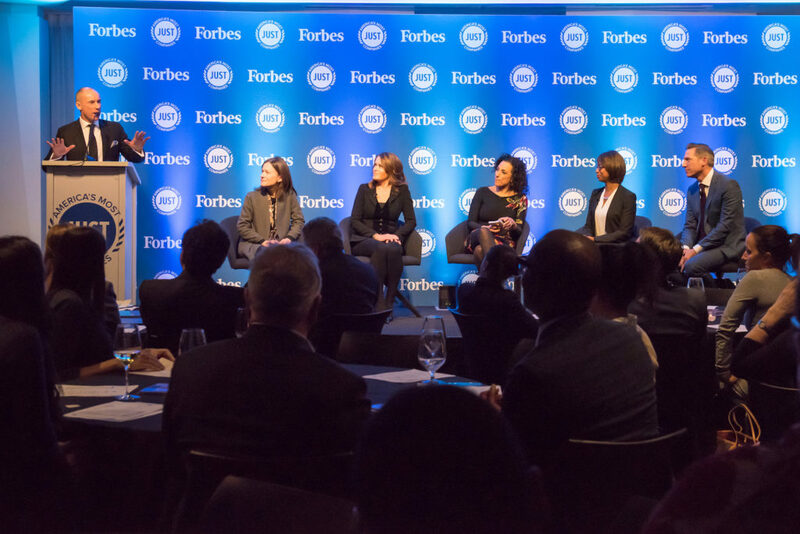 Finally, Michelle and Peggy were joined on stage by Alicia Boler Davis, Executive Vice President, Global Manufacturing, General Motors, Craig Buchholz, Chief Communications Officer, Procter & Gamble, and Ardine Williams, Vice President of Worldwide People Operations, Amazon for a provocative discussion on leading just companies through turbulent times.